Every 3rd Friday in Troy! Located at City Style Tango in Troy. Dances are every 3rd Friday of the month. Keep up to date with all of our dances! 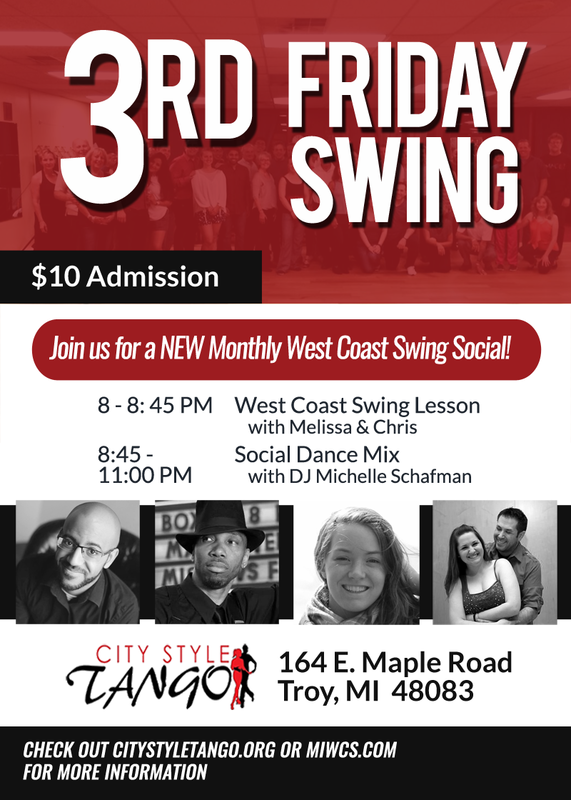 Join our mailing list and be updated on where we will be teaching, locations of Local West Coast Swing events and more!